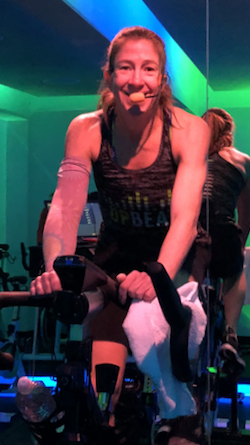 "I teach indoor cycling because I like to motivate people to be and feel their best. If you don’t feel upbeat and strong at the end of my class, I am not fulfilling my commitment to you." "A positive mind finds a way it can be done. A negative mind looks for all the ways it can’t be done." I use music to get you going, all types. It is a tool to bring our best on any given day. Born in Guyana, the only English speaking country in South America. Ayla loves to cook, Indian food is one of her favorites. Her house always has homemade chocolate chip cookies.